Portable storage is not something new in this digital age. Gone are the days when you could only store your data and photo on the hard drive in the computer. Later on, Floppy Diskettes came, and that was followed by Compact Discs (CDs). Today, you can easily store your content on a flash drive or photo stack. These two devices look the same, but they are different in many ways. So, what is the difference between a flash drive and a photo stick? That is what we will be discussing in this article. Let’s kick it off with a flash drive. A USB flash drive is considered a device that is used for storage of data. It comes with flash memory, along with an incorporated Universal Serial Bus interface. Usually, USB flash drives will be removable and rewritable. You can store data, format, and reuse as many times as you want. Nonetheless, you should know that the lifespan of a flash drive will depend on how many times you use it. If you delete and write new data on it, it will degrade faster than when you save the same data over a long period. Plus, they can be used on any device that has a USB port. However, a USB flash drive is not only used to store data. Instead, you can use a USB flash drive in many ways. It is a very versatile storage device. 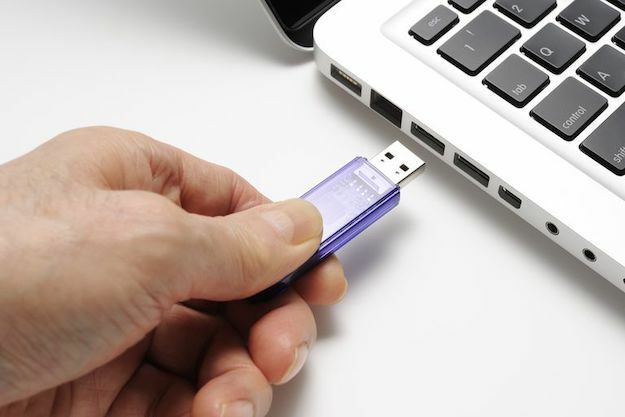 The flash drive comes with a USB connector that is well-protected and insulated electrically inside a rubber or plastic case. Inside the casing is a small printed circuit board that has integrated circuits mounted on the surface. A. USB 1.0 (low-speed). This type of flash drive can transfer data at a speed of 1.5 megabits per second (Mbps). B. USB 1.0 (high-speed). This flash drive transfers data at 12 Mbps. C. USB 2.0. This flash drive is also called the Hi-Speed USB, and it was launched back in April 2000. This flash drive can transfer data at 480 Mbps. D. USB 3.0. This is also called the SuperSpeed USB, and it was launched back in 2008. It allows you to transfer data at a rate of 5 Gigabits per second (Gbps). E. USB 4.0 is expected to be released later in the year, and it will have an even high transfer rate. This makes it a reliable storage device, especially when you need to transfer some files. Now we move to the flash drive challenger, the PhotoStick. Now, you should first know that a PhotoStick is not a general term for a specific device. Rather, this is a trademark name for a device used specifically for storing [and transferring] photos. A PhotoStick is a device (which looks like a USB flash drive) that is designed to locate personal photos and videos on your computer or laptop. All you have to do is plug it in the USB port of your computer and select ‘Go’. After that, the PhotoStick will start scanning your files and folders on the computer. This would take between 10 to 20 minutes depending on the number of files you have in your systems. It might take a shorter time. But that’s not all that the PhotoStick does. It will also locate any duplicate photo/video and delete it. This saves you the time that you’d take to remove them yourself. But the only issue, which is not such a point of concern, is that it doesn’t ask you before deleting the duplicates. Now another amazing thing about the PhotoStick is that the photos are automatically saved on the device once they are located on your computer. When you unplug the PhotoStick, all the photos will be automatically saved on the device. So what does a PhotoStick Do? With the PhotoStick, it will do more than a regular flash drive would do. Actually, most of the functions of the PhotoStick can either be done by a skilled user or dedicated software. You can get some great photo stick 128 deals to let you enjoy the amazing benefits of this unique device. By now, you can already guess what the major difference between the PhotoStick and a flash drive is. But if you don’t, you should know that a PhotoStick is specifically designed to store and transfer media; that is photos and videos. On the other hand, a USB flash drive is a portable and removable storage device that is used to store and transfer any data. It doesn’t have restrictions on what it can read, store, and transfer as compared to the Photo Stick. Another thing is that a PhotoStick will come with dedicated software that does all the scanning and storing of media. However, a flash drive is an open storage device that you can use to install software on it. A PhotoStick is ideal for those that normally deal with media. If you are a photographer or you tend to take too many photos randomly, the PhotoStick would suit you best. Whether you opt for the PhotoStick or the Flash Drive, always ensure that you take good care of your USB device. Also, don’t forget that a PhotoStick will not detect other files other than photo and video files.